Editor’s note: The following is reproduced herein with permission of Andreas Bracher, co-editor of The Present Age. For subscription information contact: Perseus Publishing, Drosselstraße 50, CH-4059 Basel, Tel. 0041 (0) 79 343 74 31, e-mail: PAsubscription@perseus.ch, or communicate via the internet. I would like to express my special thanks to the author, John Schuchardt, for his permission to produce this hypertext representation, his encouragement, and most of all my appreciation for the extraordinary connections, analysis, critical thinking, and exercise of his intelligence with clarity and coherence in crafting this highly incisive exposition. Additions to the list of References beyond the original article are [enclosed within square brackets]. For others not familiar with anthroposophy and spiritual science the following may be helpful: Rudolf Steiner on Anthroposophy and Anthroposophy: Rudolf Steiner’s ‘Spiritual Science’. “We can discover the truth and live it out. 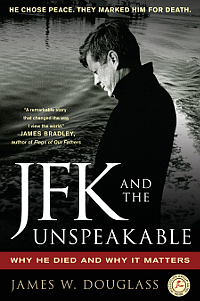 James W. Douglass’ JFK and the Unspeakable: Why he Died and Why it Matters is the conclusive research into the assassination of President John F. Kennedy in Dallas, Texas 22 November 1963, the most pivotal assassination in world history since Archduke Ferdinand’s assassination in Sarajevo, 28 June 1914. In 1914-1918 unprecedented millions would die. In consequence of Kennedy’s assassination, the Cold War would continue, millions would be killed in Vietnam, Laos, and Cambodia, and the nuclear peril to life on earth would continue. In Douglass’ title “the unspeakable,” students of anthroposophy will recognize the supersensible forces of evil. In a series of 13 lectures in December 1916 Rudolf Steiner provided the spiritual scientific knowledge that empowers an unbiased individual to achieve revelations of truth to which many remain blind. James Douglass’ goal during 12 years of concentrated research and writing was not “to solve the assassination.” Rather, he saw movements of powerful spiritual forces, as he discovered the beginning transformation of John F. Kennedy and his confrontation with evil. Douglass knows that this story of transformation and the power of truth has the potential to overcome the illusions, secrecy, propaganda, and destructive poisons of endless GWOT (Global War on Terror). It is likely some anthroposophists will be shocked to discover Steiner’s detailed study of the more than 364 murders between 1883 and 1887, and his detailed spiritual scientific research of the assassination of Archduke Ferdinand. For anthroposophists a thorough study of The Karma of Untruthfulness may be an indispensable aid in understanding the “alchemy of those bullets” of November 22, 1963. Because the lectures remain little known, many anthroposophists may not feel the urgency, nor connect anthroposophy and the need for truth, with planetary survival. Just as Rudolf Steiner could perceive the forces unleashed by the Sarajevo assassination, with unimaginable mechanized mass slaughter and horror to follow, so could Thomas Merton, the Trappist monk, perceive the spiritual forces inexorably building in the 12 months prior to the Cuban Missile Crisis of October 1962, which came near to a world encompassing nuclear catastrophe. With the wisdom and insight born from personal friendship and life-long study of Merton, Douglass has been able to identify the destructive spiritual forces beneath Kennedy’s assassination and our cultural death wish. The research of James W. Douglass is, in my estimation, the greatest contribution to spiritual scientific research of 20th Century world history since The Karma of Untruthfulness. It is a revelatory look into current destructive forces seeming to control us by “external mechanisms”. The genius of Douglass’ research is built both on the spiritual foundation of Thomas Merton and upon Douglass’ own life of faith as an activist and leading theologian of the nuclear age. Providing encyclopedic knowledge, documented with 100 pages of endnotes, Douglass never leaves the reader lost nor does he himself wander into speculation or theory. Rather, Douglass brings us to the security of truth. We follow how Kennedy’s turn towards peace and disarmament, after the near holocaust of the Cuban Missile Crisis of October 16 to 28 1962, led to his assassination. 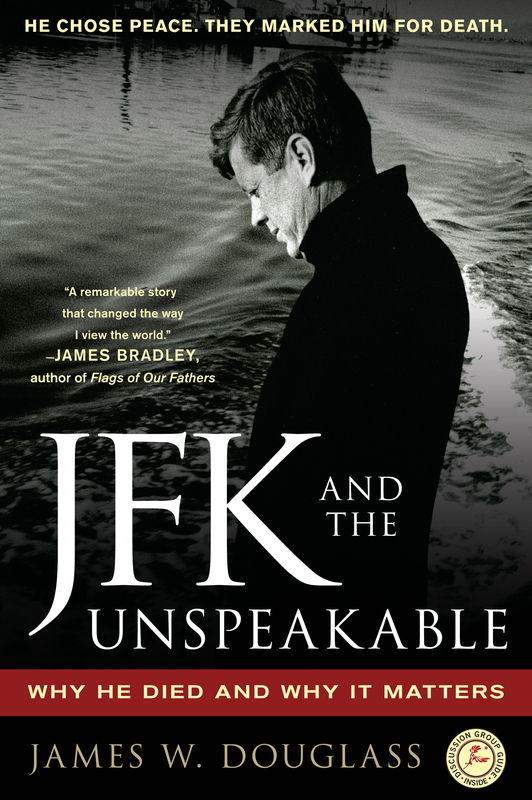 For ourselves and the possibility to restore hope for our children and grandchildren, the pulsing heart and warm soul of JFK and the Unspeakable is not so much the historical proof provided of the why or how he died, but Why it Matters. Why it must matter to us. Truth is the only spiritual force more powerful than propaganda, the “grey magic” of the media, and the invisible forces of “the unspeakable.” Douglass’ JFK and the Unspeakable shows us that we must move from denial and impotence. Paradoxically, the truth of this world altering assassination is an enormous well-spring of hope. As James Douglass documents, the hand of the CIA was everywhere—in the many handlers of Oswald, prevalent planting and destruction of evidence, Oswalds’s statement: “I’m a patsy.” and his murder, and the intimidation and murder of numerous witnesses. Healthy common sense means that 75% of the U.S. American public have not accepted the Warren Report; yet the “the flight from the truth” has been the prevailing force... until the publication of JFK. The false debate surrounding the Warren Report, kept alive by hundreds of CIA books and effective “plausible deniability”, secrecy, and control of the media, has continued to obscure, confuse, and prevent the truth from being known as factual reality. The public has been kept in a hall of mirrors, lost in the details. By the fall of 1965, through my own research and later close friendship with Vincent J. Salandria, I, and many other painstaking researchers, knew the “how” and a generalized “who” and “why” of the assassination. Now Douglass has provided the proof, and the indispensable “Why it Matters”. 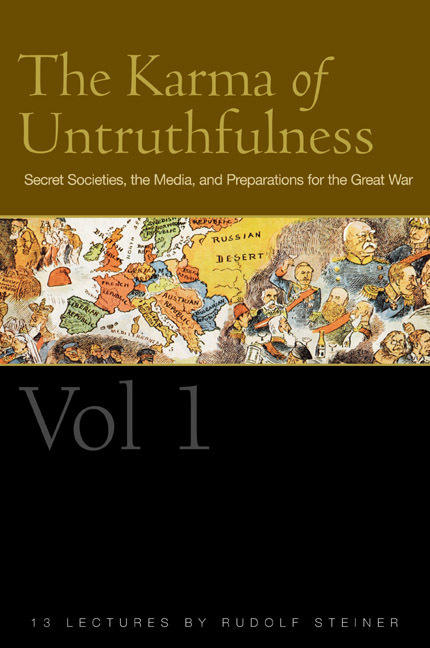 In a work of peerless historical research, Douglass documents the U.S. military repeatedly pressing Kennedy for preemptive nuclear strikes on the USSR and Kennedy opposing his CIA and military leaders at every turn. From the official records, Douglass takes us through Kennedy’s first major decision, to oppose his predecessor, Dwight Eisenhower, and the Joint Chiefs of Staff in their plan for military intervention in Laos. Then, only 3 months into office, the CIA organized and led an invasion of Cuba at the Bay of Pigs, 15-19 April 1961. Kennedy realized the military/intelligence agencies had set a trap, to thereby trigger a full scale invasion, scheming for an escalation to launch a preemptive nuclear attack on the USSR. The youngest U.S. American President had the courage to defy his military advisers, fire CIA Director Allen Dulles, cut the CIA budget, and prohibit CIA military operations. On 27-28 October 1961 U.S.-Soviet tensions over Berlin brought tanks barrel to barrel in Berlin, with plans for a nuclear strike. Again Kennedy refused to take the bait and privately negotiated mutual withdrawal with Khrushchev. Kennedy followed with a public overture on 25 September at the U.N.: “The weapons of war must be abolished before they abolish us.... We therefore challenge the Soviet Union, not to an arms race, but to a peace race...” Four days later, Nikita Khrushchev, also surrounded by generals, smuggled his first confidential letter to JFK. On 16 October JFK replied “I like very much your analogy of Noah’s Ark, with both the ‘clean’ and the ‘unclean’ determined that it stay afloat.” Both leaders, aware they could not trust their own military/intelligence elite, exchanged 21 confidential letters over the next two years. It was this beginning of trust and dialogue that saved us all during the Cuban Missile Crisis (16-28 October 1962). Kennedy refused to be forced into the invasion of Cuba and a preemptive nuclear attack on Russia, and Khrushchev recognized he must “help Kennedy”, a miraculous in-flooding of spiritual grace at the least likely moment. The following Spring, on 11 April 1963, Pope John XXIII issued his encyclical letter, Pacem in Terris. In March-April, 1963 the CIA continued to set a trap to force Kennedy into war with Cuba by CIA organized raids by Cuban exiles on Cuban targets. Kennedy, assisted by British navy, confiscated ships and stopped raids. Further major decisions in defiance of the JCS and most of his advisers were Kennedy’s National Security Action Memorandum 239 (6 May 1963) ordering pursuit of both a nuclear test ban treaty and a policy of general and complete disarmament. On 10 June 1963, Kennedy delivered an address at American University, surely the most spirit-inspired and hope-filled Presidential speech of the century. On 25 July 1963 there was agreement in Moscow on a Nuclear Test Ban Treaty, with the military and State Department kept “out of the loop” in all negotiations. From the Bay of Pigs, through the Cuban Missile Crisis, to the decision to withdraw from Vietnam, the CIA and military planners firmed their resolve to eliminate Kennedy, whom they saw as a traitor to the Cold War objective of “ultimate victory.” Einstein had said, “The unleashed power of the atom has changed everything save our modes of thinking, and we thus drift toward unparalleled catastrophe.” President Kennedy, with an early awareness that his life was at risk, held to his determination to bring alive new thinking, new possibilities. 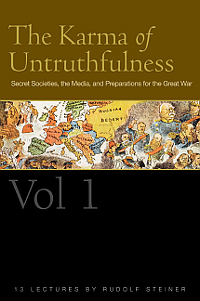 James Douglass’ book makes powerfully evident the thinking of the National Security elite, which is not only dead thinking, abstract logic, disconnected from living realities, but a thinking that has “untruth” at its foundation. Thomas Merton pointed out that “Truth is not a sentimental luxury but as essential to life as air and water.” The Prologue to the Gospel of Saint John says that God is truth. Gandhi said, “Truth is God.” James W. Douglass’ monumental historical research has dispelled a force of untruth that has held U.S. Americans and the world hostage for more than 50 years; spiritually seen, it is, in fact, an exorcism. Truth is the moral force more powerful that untruth. Do we have the courage, or does fear have the upper hand? Do we have the will, or is moral apathy our condition, that pervasive malaise Merton called “the greatest of all evils”?